World Today News: The link uniting a driver and Uber recognized "contract of employment"
The link uniting a driver and Uber recognized "contract of employment"
The link between a former independent driver and the Uber online booking platform is a real " employment contract ", said the Paris Court of Appeal in a judgment delivered Thursday, January 10, a "First" about the American giant in France. In this decision, consulted by AFP, the Court of Appeal considers that the contract "Having linked" a former driver to «The Dutch company Uber BV is an employment contract». She details "A sufficient bundle of clues" which characterizes according to her "The bond of subordination" binding the driver to the platform and therefore refers the case to the labor courts, who declared themselves incompetent last June for the benefit of the Paris Commercial Court. This driver took legal action in June 2017, two months after Uber had "Deactivated his account", the "Denying the possibility of receiving new reservation requests"recalls the court. At the time, it had been explained to him that the decision had been "Taken after a thorough study of his case". 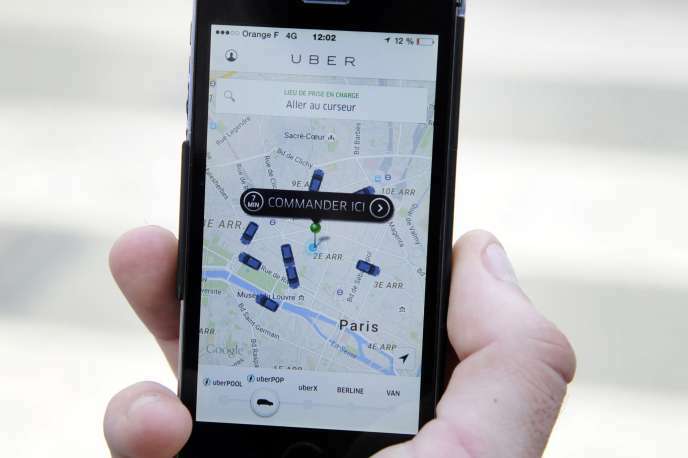 It's about the " first time " that the court of appeal of Paris judges that the working relation between a driver VTC and Uber is an employment contract, underlined Me Fabien Masson, of the firm BNR, defender of the plaintiff. In December 2017, the Paris Court of Appeal had already requalified the partnership between an independent VTC driver and the LeCab platform in wage earning, noting that the application "Had the power to give orders and directions (to the driver), to control the proper execution". In the decision rendered on Thursday, the court explained that"An essential condition of the independent individual enterprise is the free choice that its author makes to create it (...), the control of the organization of its tasks, its search for customers and suppliers". It recalls that the driver made a commitment to Uber by signing a " "partnership registration form" "but also by getting "His professional chauffeur-driven car driver card" and by registering "Sirene register, as an independent". However, the complainant could not "Constitute no own clientele", possibility forbidden by Uber, and did not fix "Not freely its tariffs or the conditions of exercise of its transport service", raise the court. Moreover, she argues, Uber did exercise a good "Control" on him since "After three refusals of solicitations, (the driver receives) the message: "Are you still there ?" ". If a driver decides to disconnect, the platform "Reserves the right to disable or otherwise restrict access or use" of the application. This practice has "In order to encourage drivers to remain connected in order to hope to run a race and, thus, to be constantly at the disposal of the company Uber BV, for the duration of the connection, without being able to choose freely, as would an independent driver, the race that suits them or not ", details the court. As such, she reminds that the fact of choosing the schedules and days of connection "Does not in itself preclude a subordinate employment relationship, since it is shown that when a driver connects (...) he integrates a service organized by the company Uber BV, which gives him directives, in control l execution and exercise a power of sanction against him. The Court of Cassation has established for the first time at the end of November a link of subordination between the defunct meal delivery company Take Eat Easy and one of its couriers by bike.